In this program, the complex physiological system of the human body are introduced - muscular movement, digestion, circulation, respiration, nerves, glands, immunity, and reproduction. The cellular basis of life, and the importance of carbon in organic chemistry are illustrated and explained. 00:03:06The molecules that make up living things are all based on carbon. Such molecules are identified as organic. This chapter describes the four organic molecules that form the elemental cellular structures and chemical processes of the human body: proteins, carbohydrates, lipids, and nucleic acids. 00:01:12This overview of the physiological systems covers circulation, digestion, hormones, immunity, skin, nerves, skeleton, muscles, and reproduction. 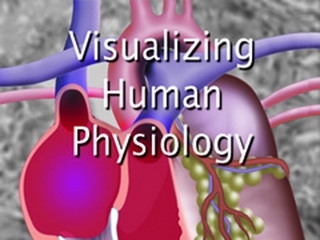 00:00:27This chapter presents human circulation. 00:00:26This chapter presents digestion in the human being. 00:00:33This chapter presents hormones in the human being. 00:00:43This chapter presents immunity in the human being. 00:00:40This chapter presents the skeleton and muscles in the human being. 00:00:34This chapter presents the largest organ of the human body--skin. 00:00:57This chapter presents human reproduction.